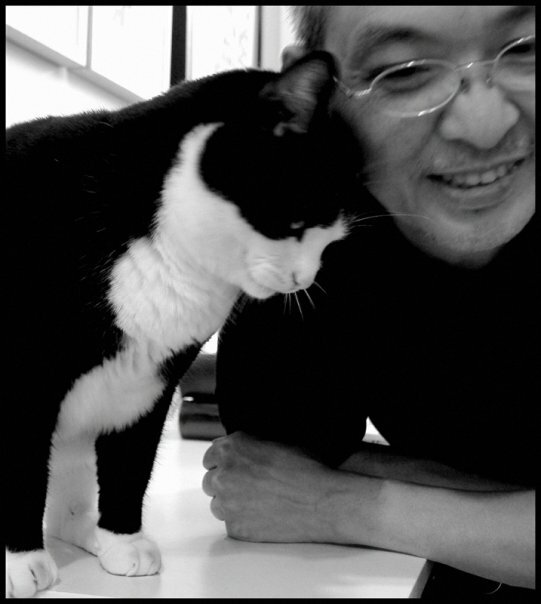 LEE Ka-sing 李家昇, born in 1954, photo-based artist. He was the co-founder of DISLOCATION, a former independent photography magazine. 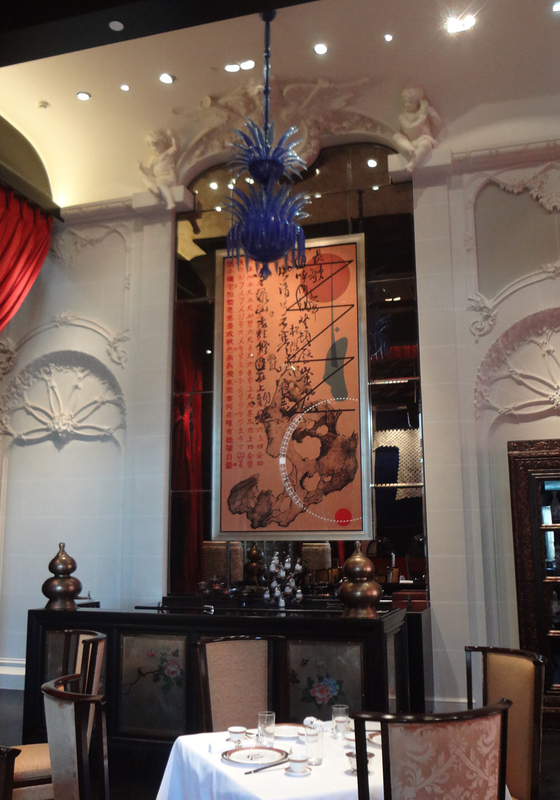 In 1989, he was awarded “Artist of the Year” by Hong Kong Artists’ Guild. 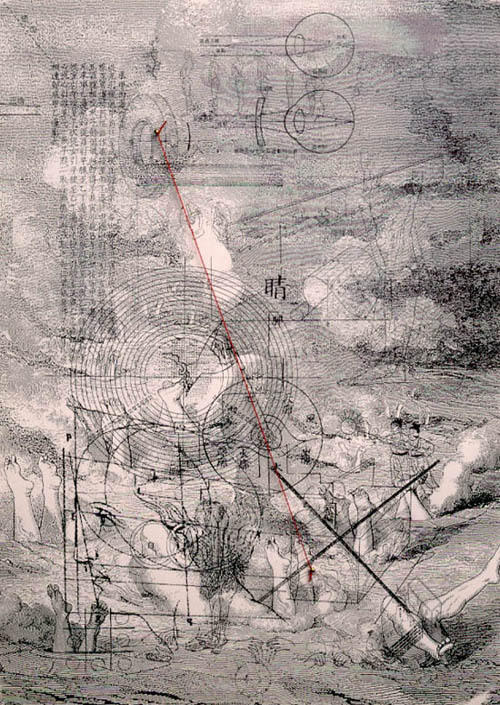 In 1999, he received Fellowship for Artistic Development by Hong Kong Arts Development Council. 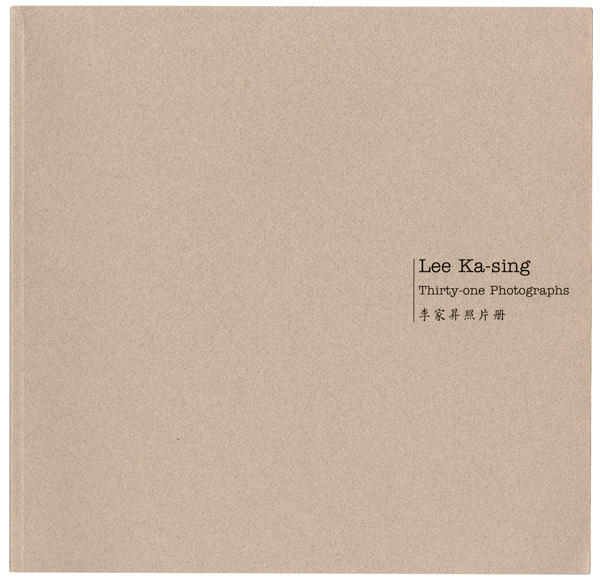 Selected monographs include Thirty-one Photographs (1993, Photo Art), Forty Poems, photographs 1995-98 (1998, Ocean & Pounds, Hong Kong Arts Development Council publication grant), The Language of Fruits and Vegetables (2004, Hong Kong Heritage Museum), De ci de là des choses (2006, Editions You-Feng). 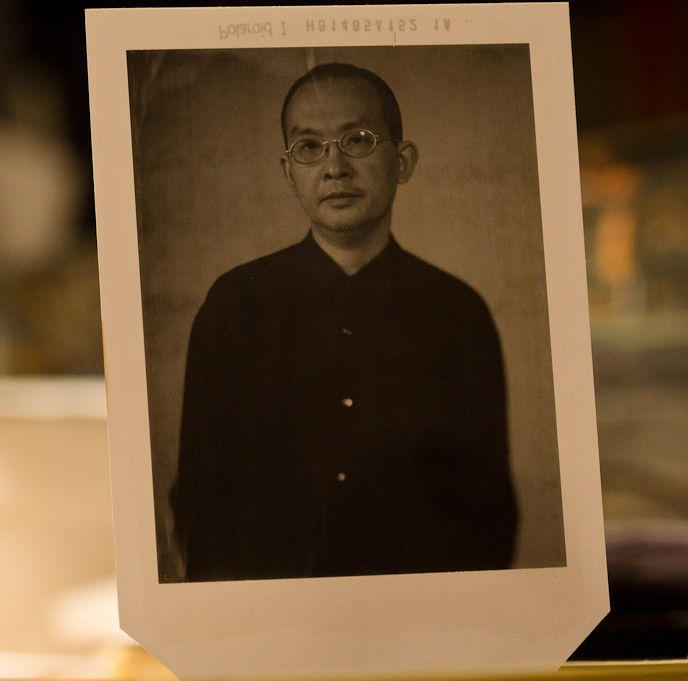 His work is collected by private and public collections including Tokyo Metropolitan Museum of Photography (Japan), M+ Museum and Hong Kong Heritage Museum. Lee currently lives and works in Toronto, Canada. 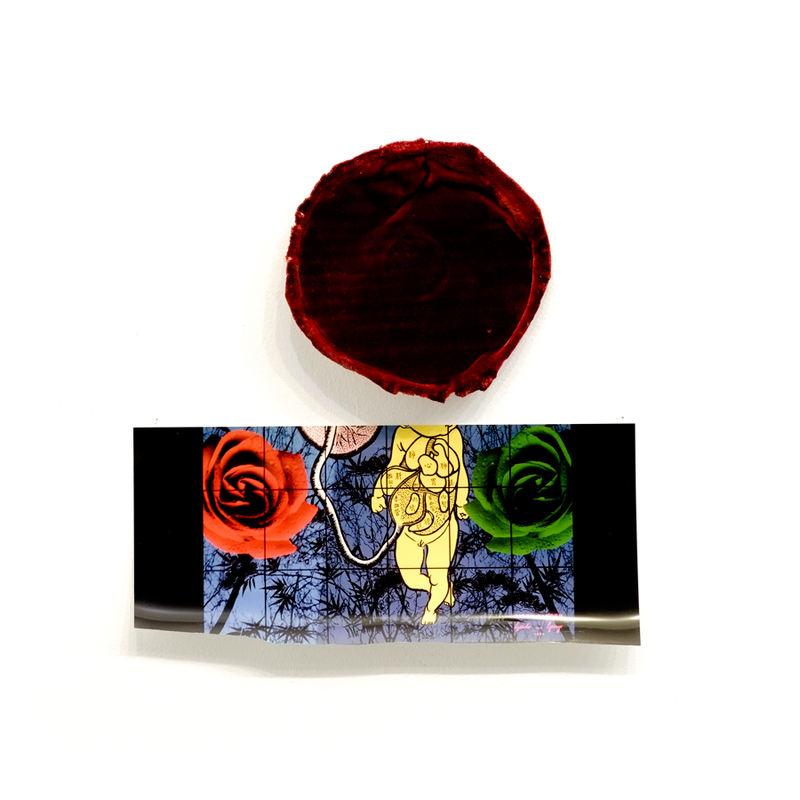 Three Roses from New Stories series (an installation of 30 paired object+photograph, exhibition at GALLERY 50, Toronto, March 10 to April 8, 2018. This is part of contents from the collaboration exhibition with Kai Chan). Juxtaposition, story, and words by Lee Ka-sing. Thirty pieces of photographic paper test-strip (archives from Holly and Ka-sing studio, mid 80’s to early 90’s) in pairing with items provided, in a large shoe-box, from Kai Chan. 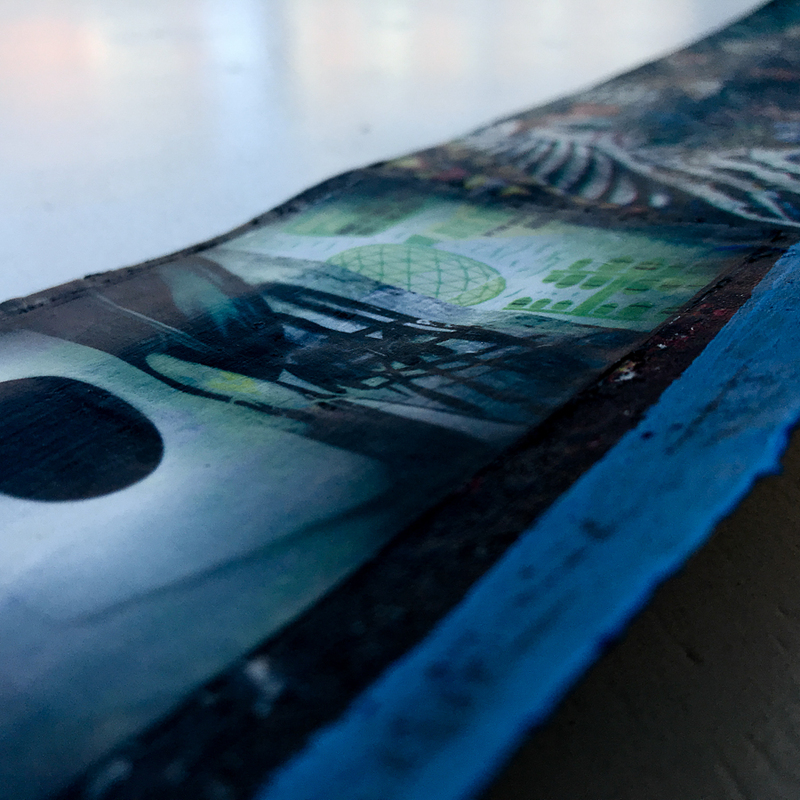 Mixed media: Photographic papers varying from Ilfochrome to fibre-base gelatin silver print. Objects made with a great variety of materials. This copy contains 125 pages including covers, 119 pages with photographs and 3 pages in plain texts. 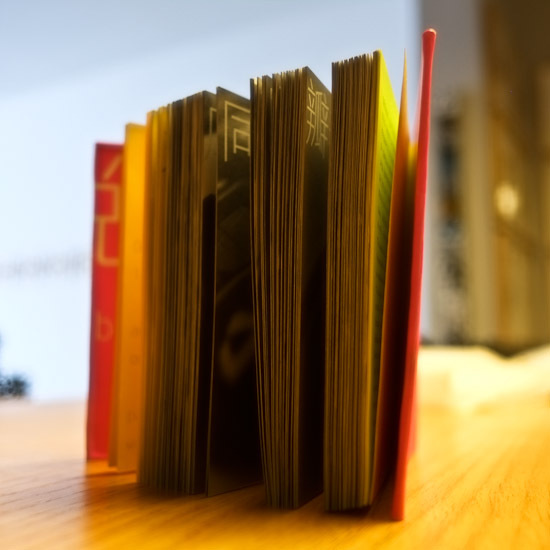 Format: 8.5"x22" (216x559mm), printed on 192 g/m archival matte paper with colour pigment inks, hand-bound and unique. Produced in January 2018. 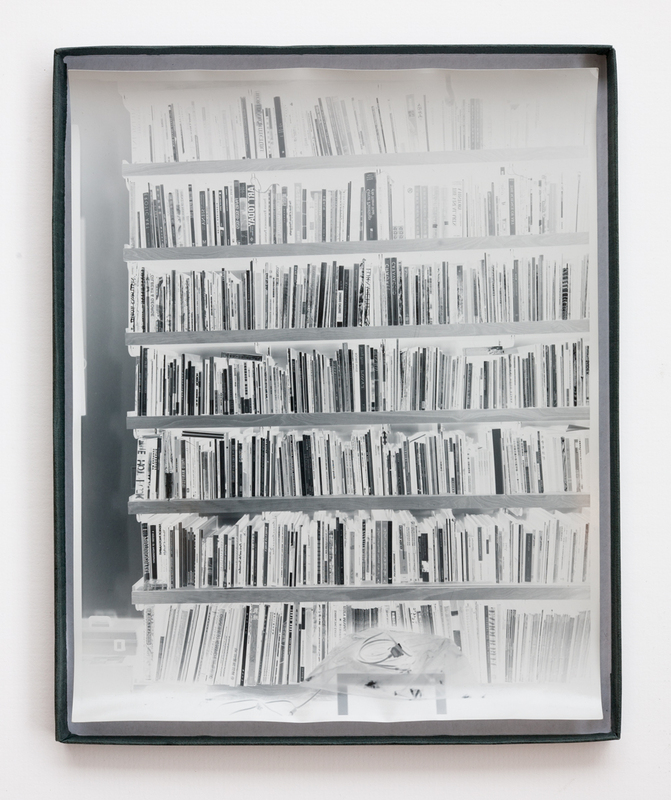 All works in the NEGATIVE MIRROR series are unique, with photographic paper direct exposed through lens. Some of the photographs are in smaller sizes such as 4x5 or 5x7. Some were taken with larger format cameras from 8x10 to 20x20. In March 2016 I was on a trip to Hong Kong for my niece’s wedding. That was also the same time when the annual ART BASEL happened. Art surfaced everywhere. All photographs in this series were taken in Hong Kong, except one, which was taken on my way back home from the airport through the taxi window. While I was on the trip, my best friend Fai passed away in Toronto. It was so sudden, and sad. I want to dedicate this series of photographs to him, in memory of our good old Hong Kong days in the seventies and eighties. His family moved to Toronto in the late eighties. After nine years, we joined them and celebrated the Millennium. Z FICTION is a series of photo-based works I began in 2008. They are fictional and narrative, and each one is an individual self-contained piece. Their texts came after the images had been made. The texts are an integral part of each completed work. The Mobile Poetry Lab series began in 2012, as a continuation of my poetry writing activities which go back to the early seventies. The main difference is that this time, I am writing in pictures rather than using language in text. 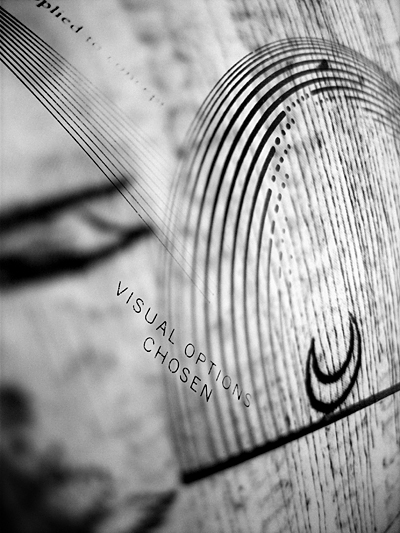 Light Readings series is a photographic journal in diptych form. I began this project in 2014 as a way of generating pictures about the city, fragments of my thoughts, or reflections on my reading. They are carried on like a casual conversation with a friend, or manifested as spontaneously as brush strokes on the pages of a sketchbook. 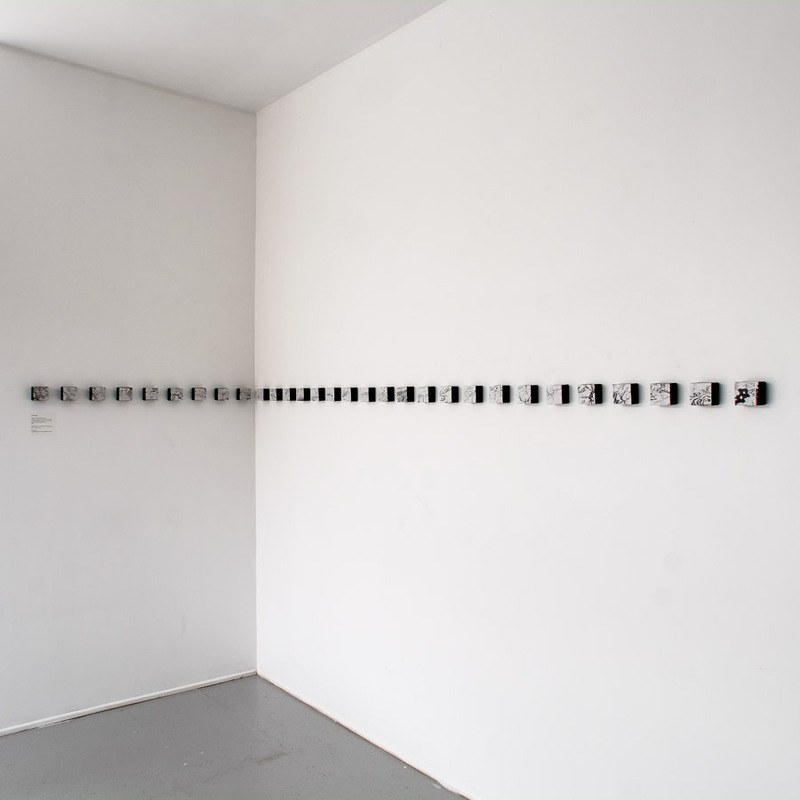 More than 400 of these LIGHT READINGS diptychs were made. 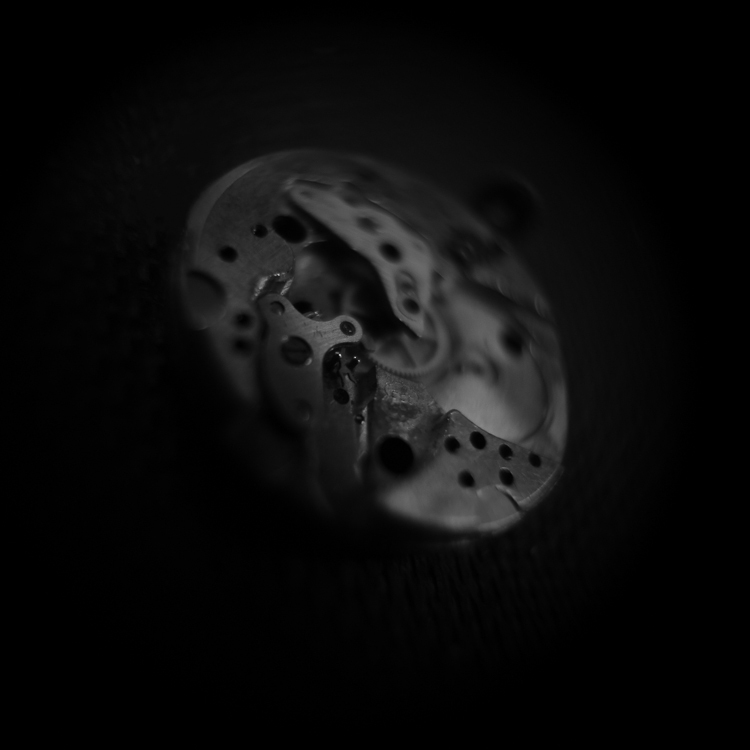 Recently, I began to issue limited editions of some of these works. All were printed as Archival Pigment Prints, on heavy weight 12x22 inch paper (image size 10x20), in editions of 10. In 2015, I released a DVD of works from the first year of them: The Imagination Which Turns Blue into Pink. 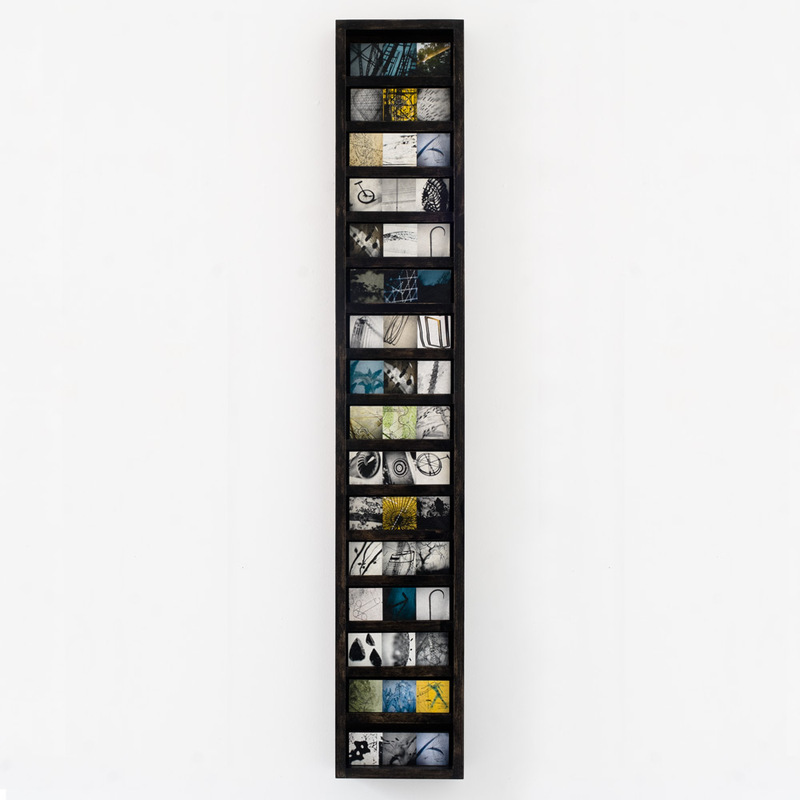 It contains a selection of 250 diptychs. The Magic of Two Oceans is a work presented on a web platform. 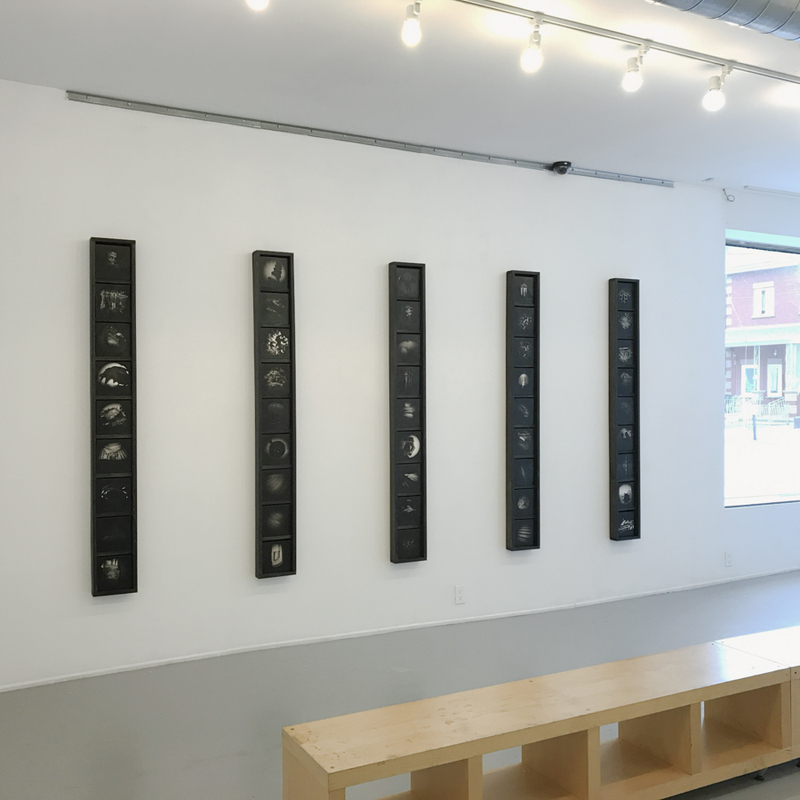 I selected images from my previous works, and organized them into two groups, pairing images displayed on screen, randomly juxtaposed, as if they were talking to each other. 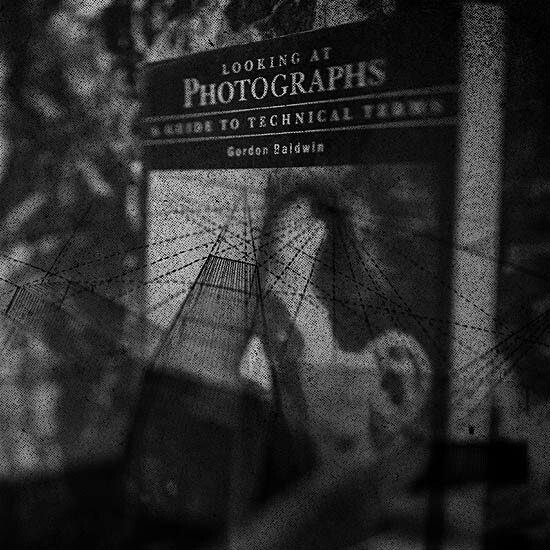 Somehow, this work inspired me to start the LIGHT READINGS photo journal. 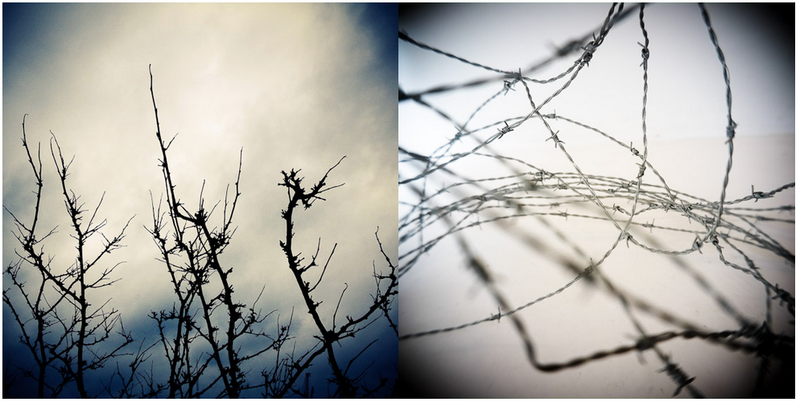 Working with images from new and old takes, I then juxtaposed them in an utterly subjective way. 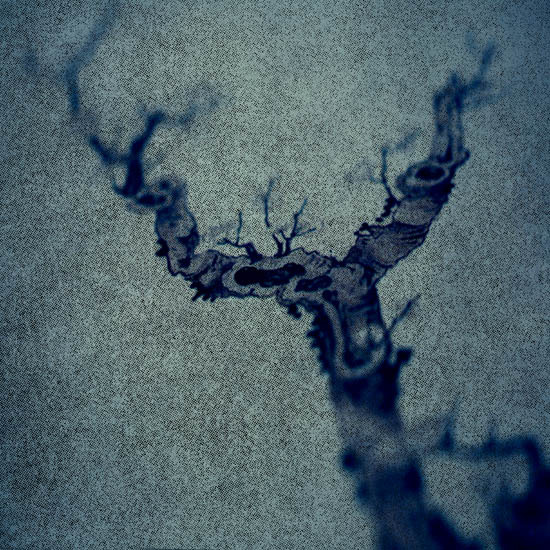 The Mountain Song series was initiated in 2010, and was mainly about mountains, rocks, stones and trees. Fewer than 20 works were made, and solely in black and white. In 2015, I picked up the study again, and gave it a new title: Small Songs. It includes the early works from the Mountain Song series, as well as the new works in colour, his time not limited to stones and trees as subject matter. These works do, however, share a common ground: the images produced do not necessarily carry a strong, epic message. 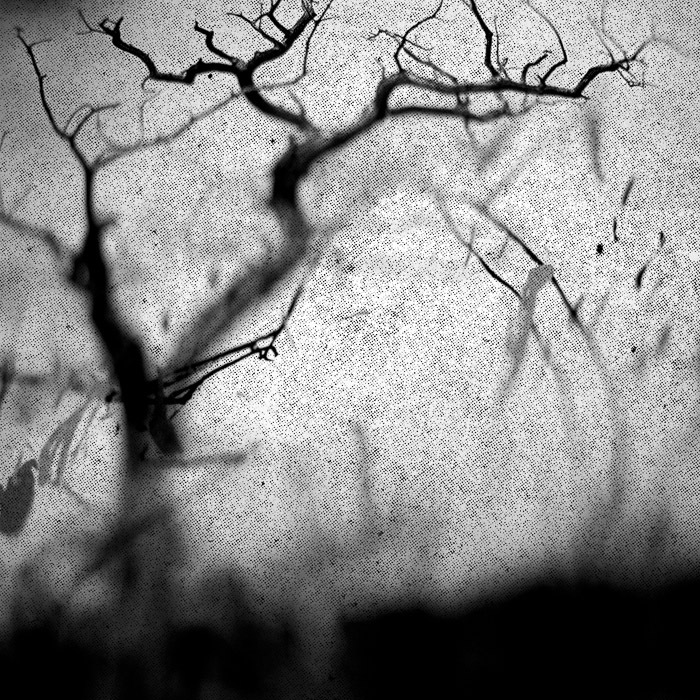 They can be, for example, just small studies of tree branches. In 2009, I started to work on a series of images under the overall title Toronto Myth. Some of these images I re-photographed from my older works, and from family albums or found pictures. I believe this was an extension of a work I did in 2004. A curator from Hong Kong invited me to be part of a 3-person exhibition. The show was about Hong Kong, and was expected to present new works. By that time, I had resided in Toronto for few years and obviously didn’t have many new images of Hong Kong. The solution was for me to re-photograph and transform some of the photographs I had taken during the previous 20 years when I was in Hong Kong. This provided me with a new perspective on cities and some new interpretations of the urban idea. 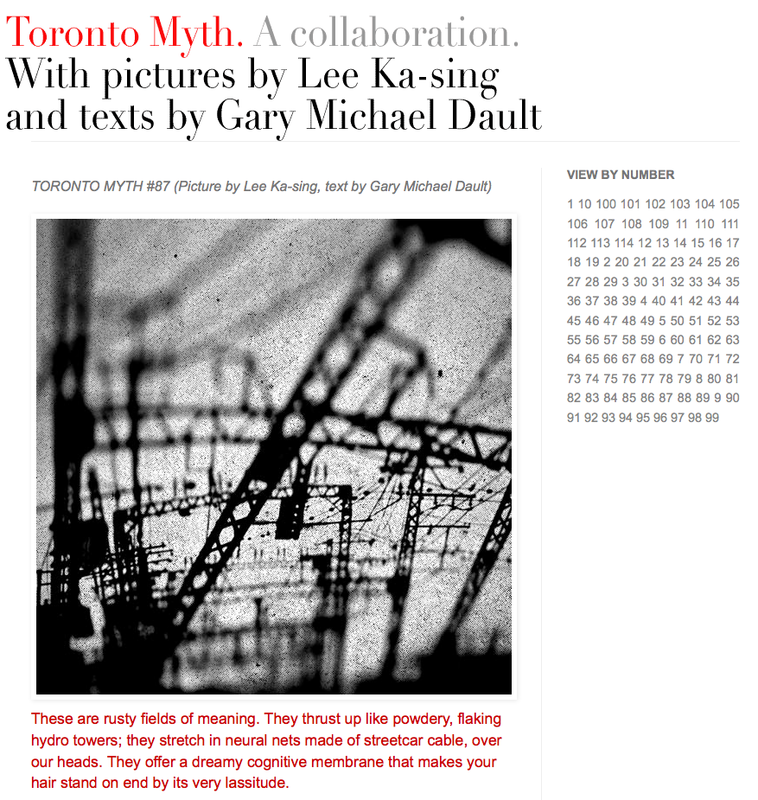 The original Toronto Myth project was to be a suite of 3000 images. Once they were finished, they were to be presented as moving images, in a never-ending loop. 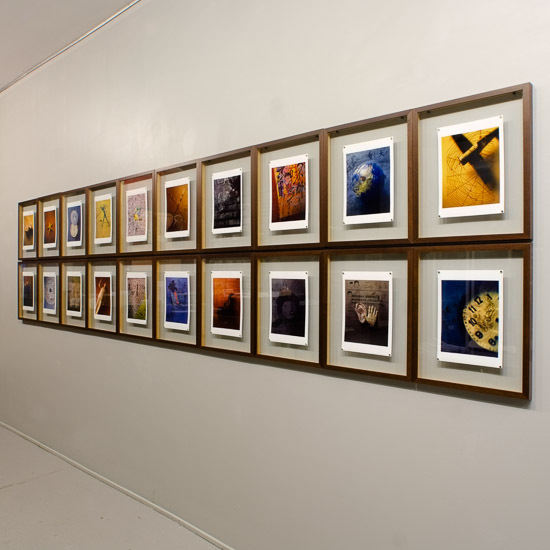 An individual image would now be similar to a small dot in a huge array of thousands of photos on the wall. Here, individual image might not be centrally important, but would somehow contribute to the texture and density of the whole thing undertaking. Toronto writer Gary Michael Dault saw some of the images in progress and suggested writing a brief text for each image. Once that began, the Toronto Myth project moved into a new chapter. On the other hand, I did come to abandon the aggressive 3000 images concept. Every few days, I would email Gary three images. Shortly thereafter, he would supply three prose-poem texts, and I would post them online. 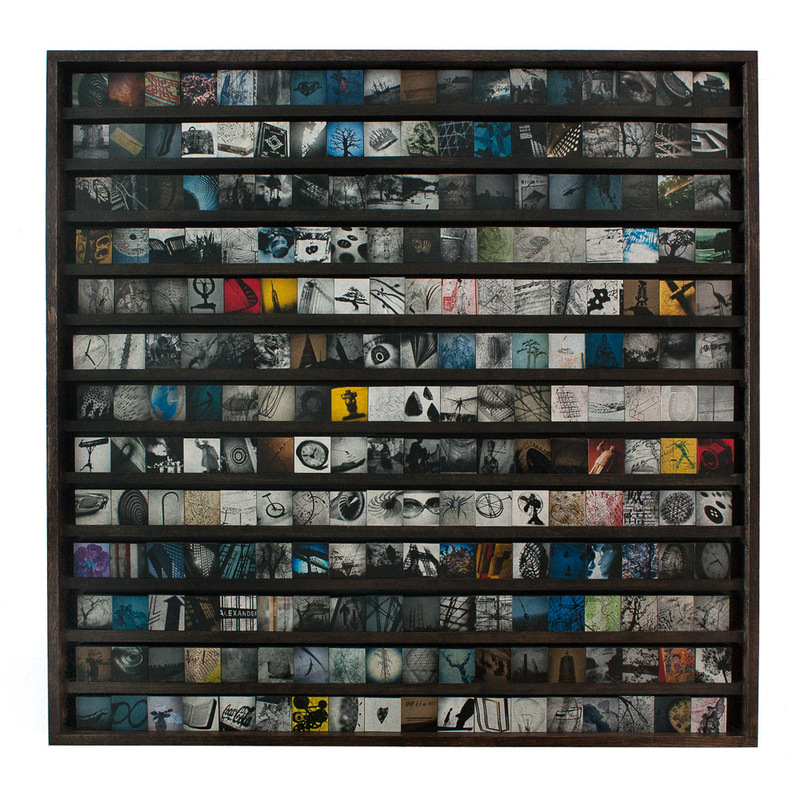 From 2009 to 2013, there appeared 117 pairs of images and texts. This series was made between 2009 and 2010, as a re-visitation of some of the books that I previously acquired. They are, in some way, a kind of dialogue. 128 works were made. 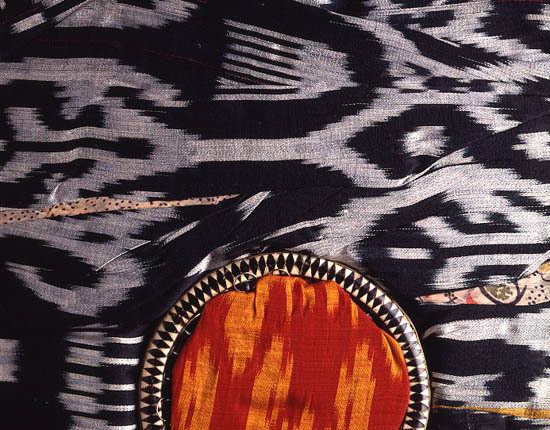 In March 2010, a selection of pictures from this series was exhibited at Jerome Liebling Center for Film, Photography, and Video, in Massachusetts. My De ci de là des choses series was originally produced for an exhibition in Paris in 2004. It was a collaboration with Hong Kong poet and writer Leung Ping Kwan, my photographs functioning as pairings to his poems in the exhibition. A suite of twenty works were made. 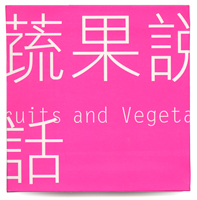 Editions You-Feng published a 92 pages catalogue for the exhibition, included all images as well as Ping Kwan's poems in Chinese and the French translation. 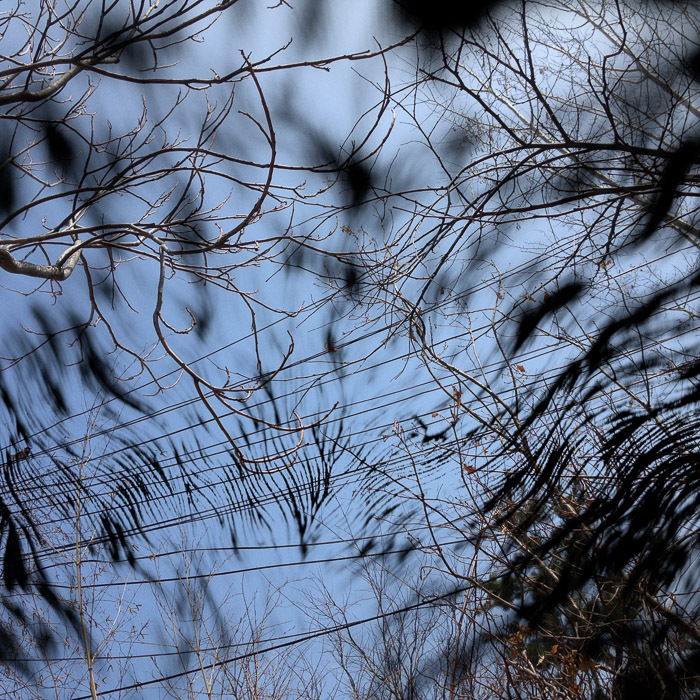 This was a series of 6 photographs in three pairs. They were originally produced for an exhibition at the Mizuma Art Gallery in Tokyo, as part of the event MORPHE 2000 (curated by Sabrina Fung). Thereafter, the series was shown at the Hong Kong Art Museum, for an exhibition of recent works from Hong Kong designers (curated by Kan Tai Keung). 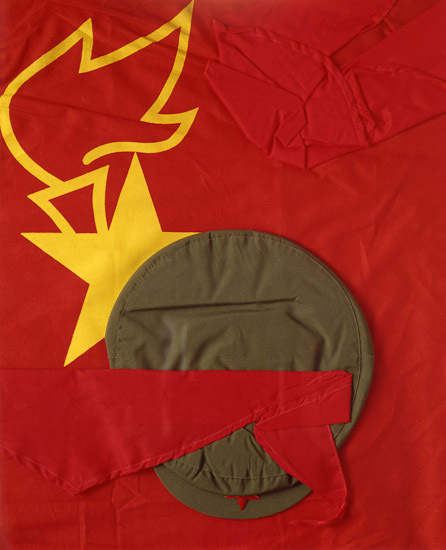 In 2008, the series was selected for the exhibition "Not about Truth: Chinese Conceptual Photography since the 90s" (curated by FAN Wanjen Anthea). Somehow, in the last moment, the art museum was not able to locate the original photographs (they were found some months after the event). My works were featured in the exhibition catalogue, but were absent from the exhibition. People thought, it was such a conceptual way to talk about the arts policy of Hong Kong. Two sets of vintage photograph were made. Some years after the work was produced, I decided to conserve only the first two pairs, and removed the third pair entirely from the series. 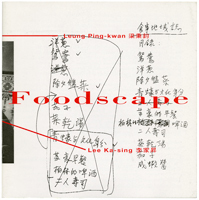 Foodscape was a major collaboration I worked with my poet and writer friend Leung Ping Kwan (1949-2013). The inauguration of the collaboration was an exhibition held at ARTSPEAK gallery in Vancouver in March of 1997, as part of the programme for CITIES AT THE END OF TIME: HONG KONG 1997, which brought together artists and writers from Hong Kong, Canada and the U.S. to present works that explored the cultural and social identity of Hong Kong. The show was mounted at the McIntosh Gallery in London, Ontario in the same year. 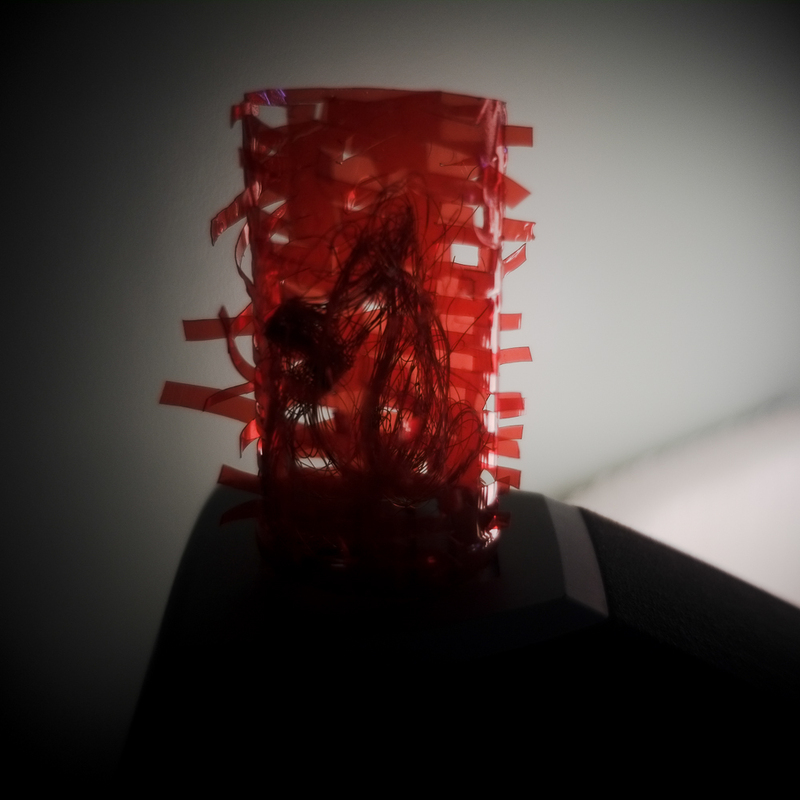 After that inauguration, this collaboration project was further developed and exhibited in other cities: at the Goethe-Institut, Hong Kong (1998), at Rou-un-ki Aki-ex Gallery, Tokyo (2000), at Ruffini Kultur, Munich (2000) and in 2004, there was a larger exhibition at the Hong Kong Heritage Museum (with guest artist Millie Chen). 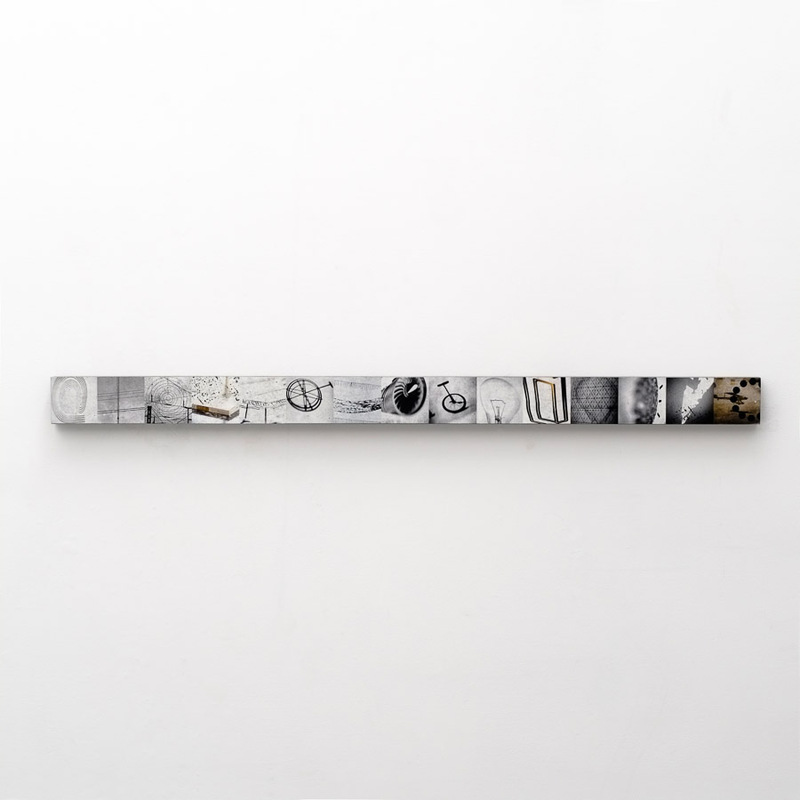 In the first chapter of Foodscape, in two sets, ten works were made, each image being 30 x40 inches, in inkjet on canvas. Unfortunately, the exhibition set was somehow lost when returning from Canada after the exhibitions abroad. These early inkjet prints were not as archival as today's materials are. I am planning to issue a new set of editions in the coming days. In 1998, a small number of black and white gelatin silver photographs were also made, with support from AGFA, part of their help in producing diamond screen digital negatives. 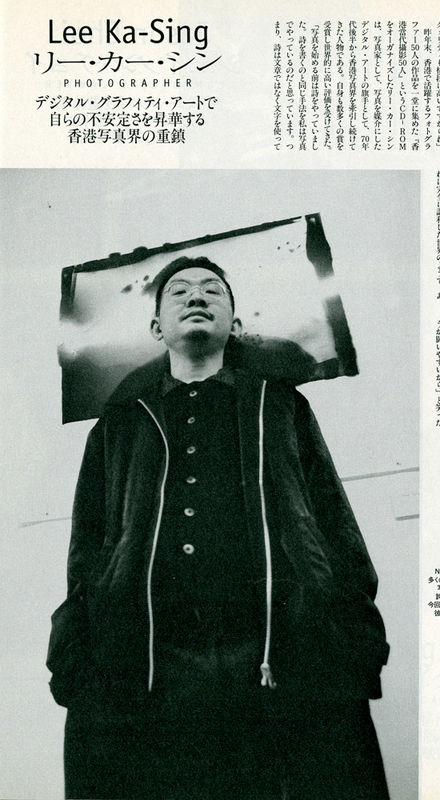 The first stage of Forty Poems series was in a group exhibition in Hong Kong Arts Centre (1995). 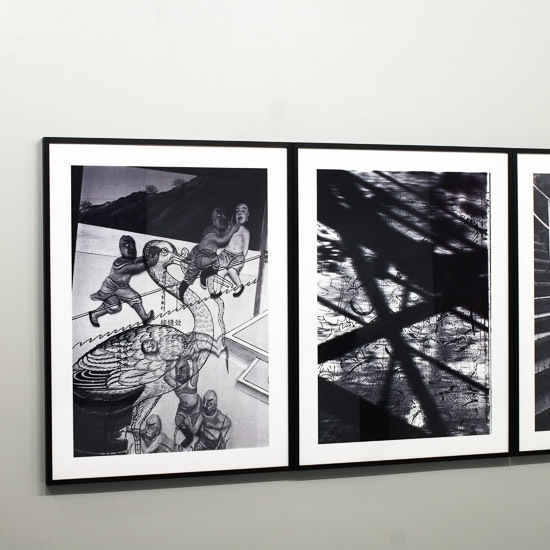 The completed series was shown at Tower Gallery in Yokohama in 1996, an exhibition curated by Iisawa Kotario. The show later toured to the Princz Gallery, Kyoto and to the Atrium in Fukuoka. Almost 20 years after the series was created, the vintage prints were finally on wall again. In 2015, the exhibition WALKING SMOKE at Gallery 50, showcased some of my early works in vintage medium. 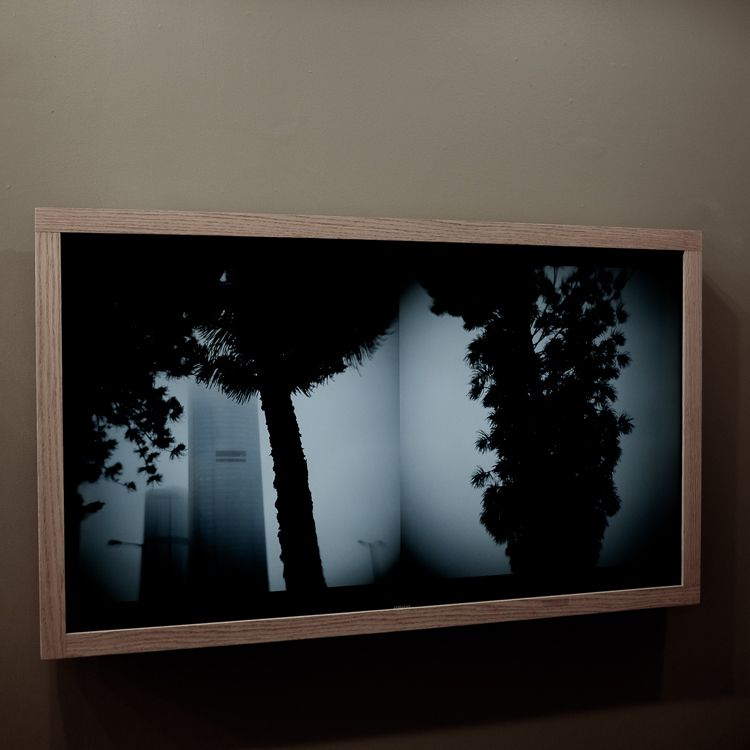 The original idea of the FORTY POEMS was to make forty 8x10 inch photographs as a suite. When all photographs are grouped together, it becomes a piece of completed work. As it happened, I didn’t made all 40 photographs, finishing only about 30 pieces. In 1998, when I was working on the monograph Forty Poems (with publishing grant from Hong Kong Art Development Council), I edited the suite down to 20 works. The whole work was a unified piece about Hong Kong. 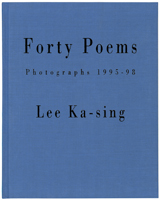 Works in the monograph Forty Poems are in two parts, the second part includes a selection of 20 black and white works that I made between 1995 to 1997; they were grouped under the title Hong Kong Journal. These images were in fact, not really made as a series when they were originally produced. In 1998, however, when AGFA offered me the support necessary to produce digital negatives with their diamond screening technology, the Hong Kong Journal photos made up the selection I prepared for this new incarnation. 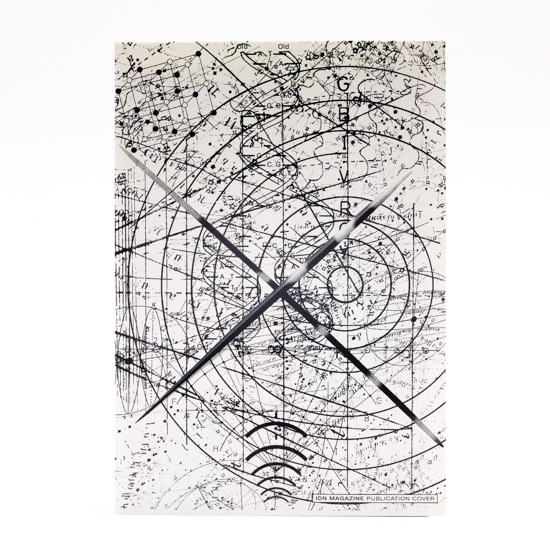 A handful of direct contact gelatin silver prints were made, each 16 x 20 inches. On the End page of the monograph, I remarked on these images: "The black and white photographs are from two bodies of work. One being a documentation of Hong Kong in 1997, organised by China Tourism Press. The second belongs to the on-going FOODSCAPE Project. 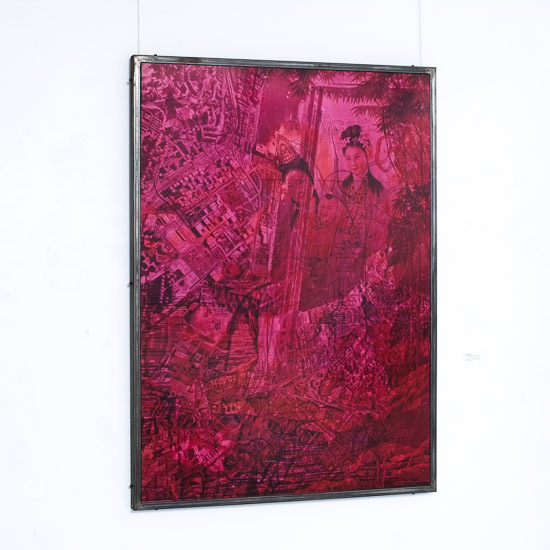 These photographs have been exhibited in Hong Kong City Hall, Goethe Institute, and Asian Fine Arts Factory in Berlin." 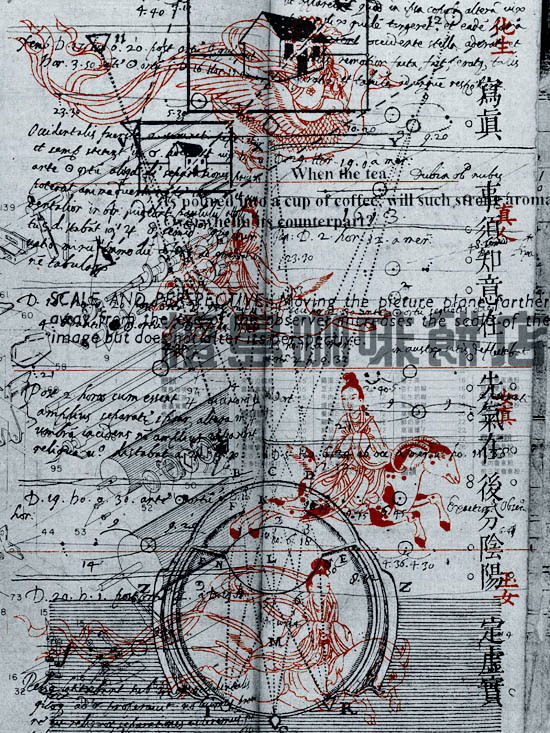 This image was originally created for the cover of CITY AT THE END OF TIME, a bilingual edition of poetry co-edited and co-translated by Leung Ping Kwan and Gordon T. Osing. It was published by the University of Hong Kong in 1992. 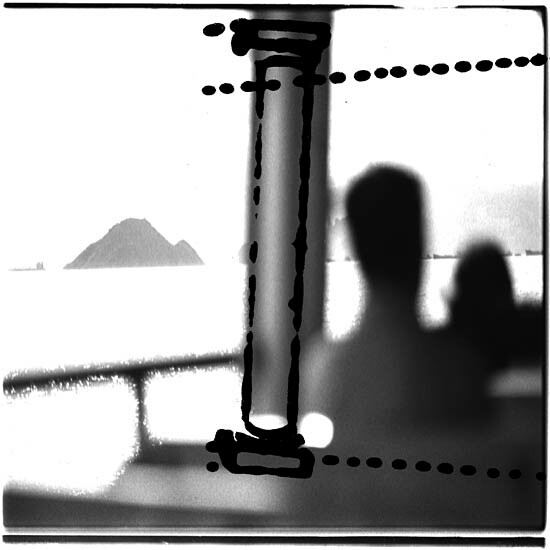 This is a vintage photograph, printed in early 1993 for a HKIPP members' exhibition. In late 1993, there was another photograph printed (48x68 inch), made for my solo exhibition THIRTY-ONE PHOTOGRAPHS at the Hong Kong Arts Centre. In 1996, the curator chose four works from my show for ASIAN VIEW, an exhibition at Tokyo Metropolitan Museum of Photography. All four works were acquired by the museum after the exhibition. The Japanese magazine FASHION NEWS launched a Chinese edition in Hong Kong in 1991. In the inaugural issue, there was a special feature on the Sixties and Seventies. I was commissioned to do a spread-page image as the opening for that feature. 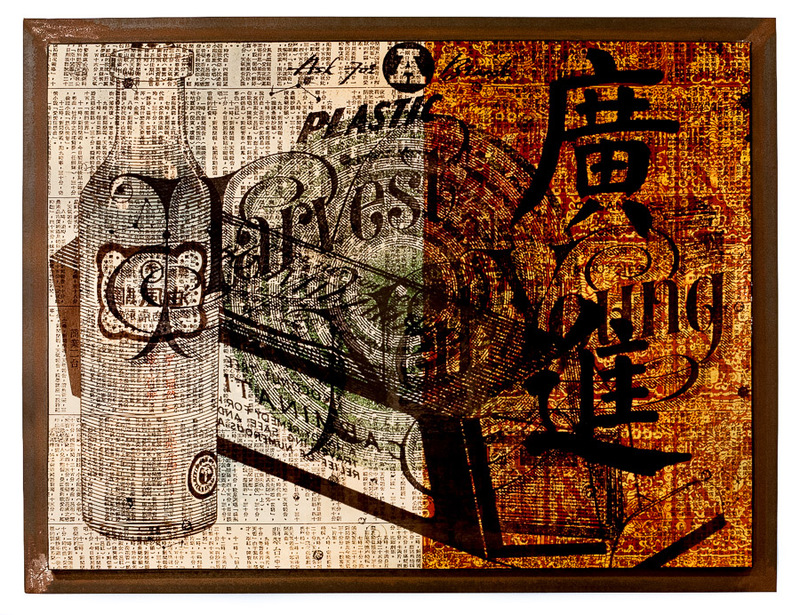 Ask For A Brand Plastic Harvest was created in the same year, for HKIPP members’ exhibition. I used some of the visual elements from the above mentioned assignment and developed them into a new work. It all began with the idea of “rethinking photography.” Line-works are photographic images, but without the middle-tones. And of course a copying machine is one more type of camera, among many others. In 1989, with these concepts in mind, I began to create collage works by using a photo-copy machine. Multi layers of images were over-printed onto a single piece of paper. It wasn’t until the mid nineties, that I switched to using a scanner and working on computer for layering. From 2006 onward, I turned back to the camera instead of using a scanner. But I must say, all of these processes are intriguingly different, and exert different psychological effect on you while you are working. Walking Lines from the Thinbit Studio is a title I made up while putting the works together with the pieces I produced from 1989 to 2006. Over a hundred works of that type were made during those years. They include the cover work created for IDN, a digital arts magazine; The call-for-entry poster for Hong Kong Designers Association Awards; a poster for a June Forth art exhibition, Advertising for Hong Kong Telecom, the Cover of the Grant Application Guide brochure for Hong Kong Art Development Council, a series of more than a dozen book covers for Cultural Perspective of Ching Man; Wall murals for Asian Legend, a restaurant in Toronto, and more. Exhibition catalogue, 10x10.25 inch, 80 pages. During the decade from the mid eighties to the mid nineties, only a thin line existed between my commissioned work and my personal work. Perhaps, it was due to the influence of photographers such as Irving Penn and others. 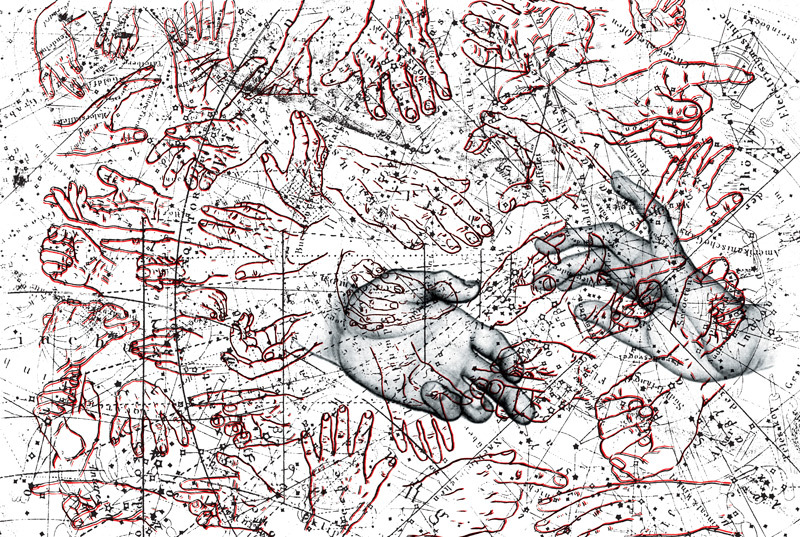 People come to you seeking your visual language, and, at the same time, you try to maintain within your own work your personal aesthetic philosophy and heart. In 1993, I mounted an exhibition of works selected from my previous assignments. It was titled THIRTY-ONE PHOTOGRAPHS. 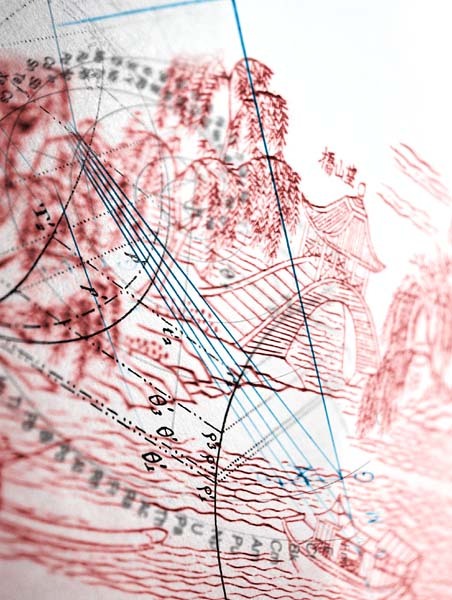 Yau Leung of Photoart published the catalogue, Lilian Tang designed the publication, and the exhibition poster as well. Leung Ping Kwan wrote a long intro for the book, an essay he later turned into one of the Ten Chapters, of his book on Hong Kong culture. Some of the photo works I made 30 years ago, might still exist - as a sort of record - as Polaroids. 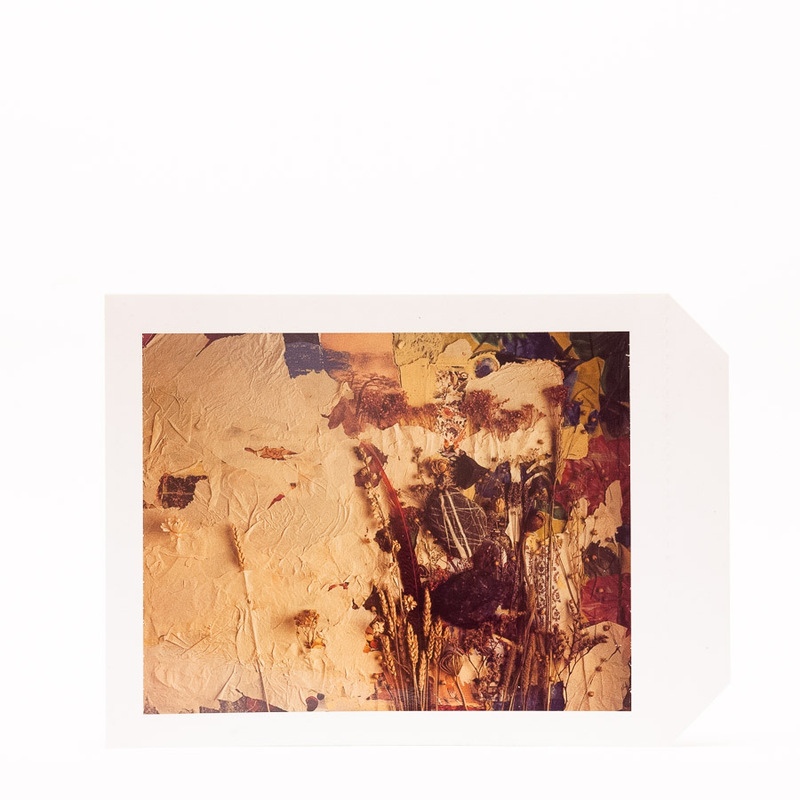 Originally, these Polaroids were made only for the purposes of composition and light testing. 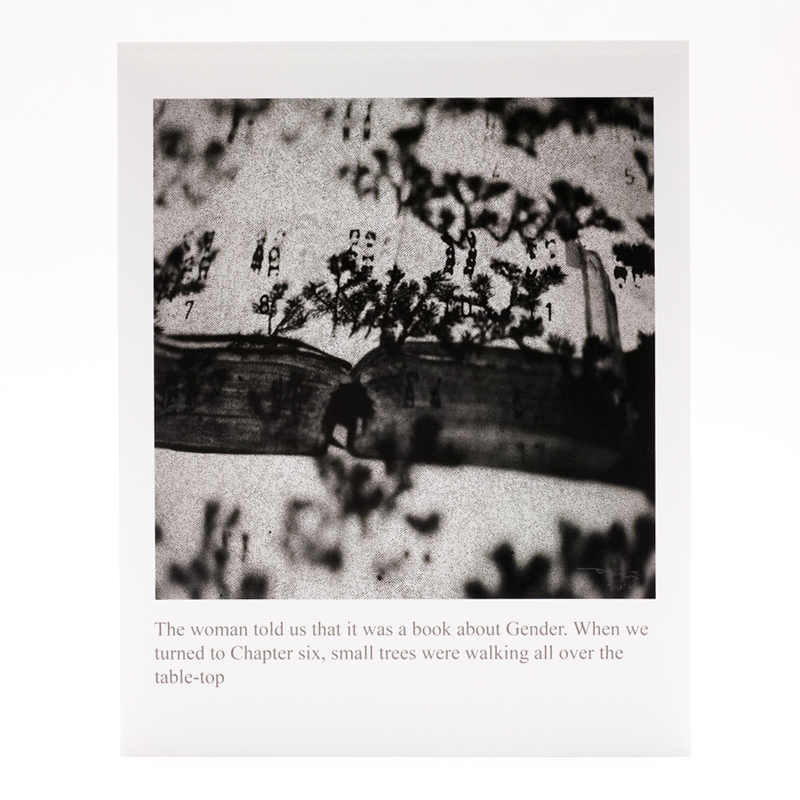 But the Polaroid system is unique; it is quite different from photographs or prints that exist in editions. My Polaroids are also documents. They eye-witnesses to some of my works before they were finally created. Currently, a selection of these Polaroids are in an exhibition in Hong Kong, organised by Blindspot Gallery. 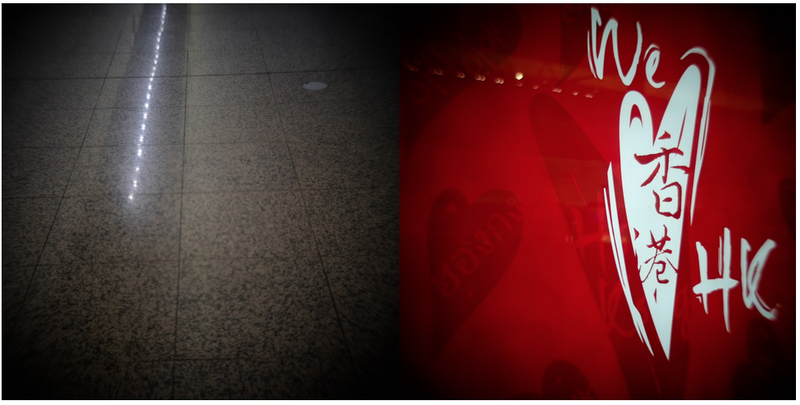 A series 4 photographs, after a trip to Xinjiang. 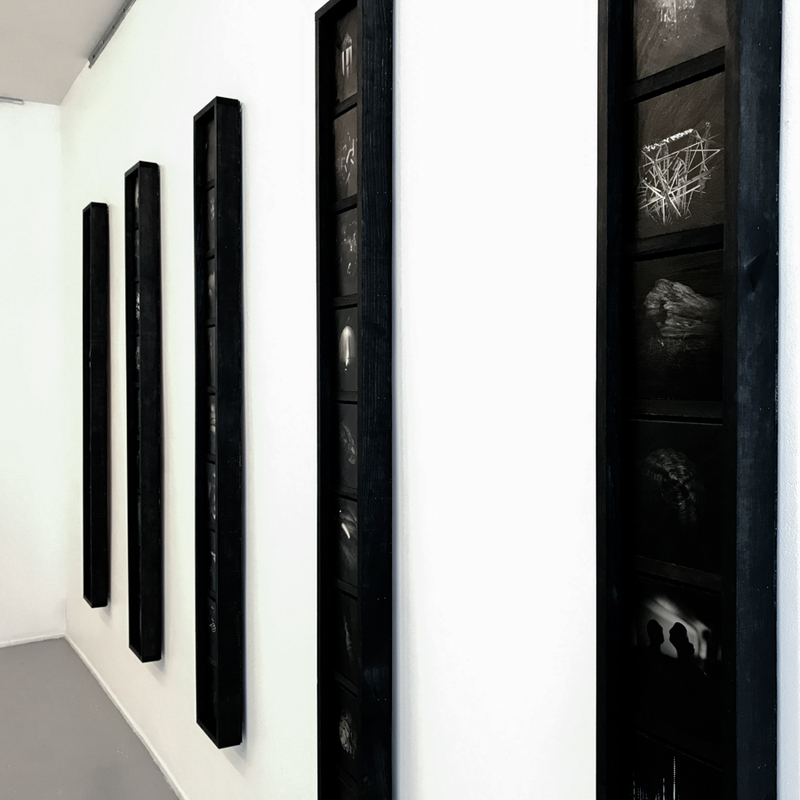 This series was in the exhibition OUT OF CONTEXT, an artist exhibition project at 15 Kennedy Road, Hong Kong. In 1981, my wife, photographer Holly Lee, and I had a two-person exhibition at the Hong Kong Arts Centre. Those were the early steps we walked leading us into our personal works; we carried them on alongside our commercial studio assignments. In this exhibition, Holly showed her portrait series about artists and friends. I presented two bodies of work - a series of snapshots from various trips to China, and a suite of photographs taken with a 8x10 large format camera. There were approximately 15 works of 20 x 24 inch C-type prints. I photographed my personal objects. We maintained a studio in Hong Kong for advertising and editorial photography assignments since the late seventies, that existed up to 1997 while our family moved to Toronto. Now, I am mainly on my own personal works. Sometimes, there happened with big or small collaborations from art consultants, architects, or designers. Commissioned works came to me for site-specific projects. Just recently, I have made some of my vintage postcards available at the POSTCARD HONG KONG website. Most of these cards were printed in the 80s and 90s. Approximately 50 cards were produced in that 15 years. If we can agree that Polaroids are expensive artifacts as original works, postcards, on the other hand, may be the most inexpensive photo-artifacts around. 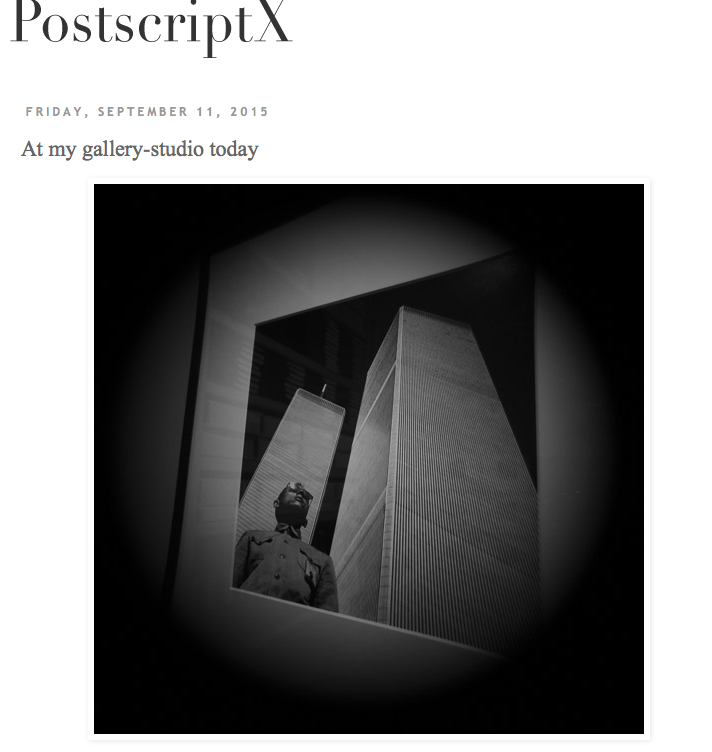 PostscriptX was started in Fall 2010, as a diary written with a camera. It was originally intended to safe - in a rather casual way - some personal moments and thoughts. 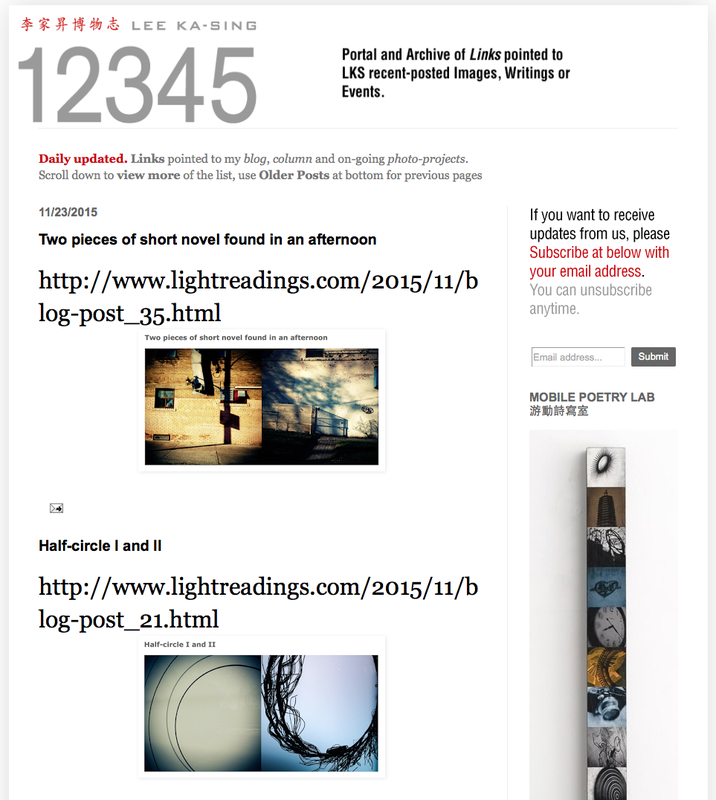 Lee Ka-sing 12345 is a daily updated Portal site with links pointed to all my fresh posts. Subscribe to this site to follow my creative activities.